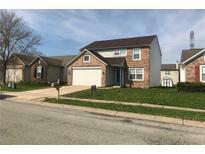 Below you can view all the homes for sale in the Cumberland Lakes subdivision located in Indianapolis Indiana. 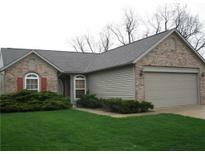 Listings in Cumberland Lakes are updated daily from data we receive from the Indianapolis multiple listing service. To learn more about any of these homes or to receive custom notifications when a new property is listed for sale in Cumberland Lakes, give us a call at 317-893-3955. Privacy fenced backyard with views of the pond. MLS#21631234. Trueblood Real Estate. 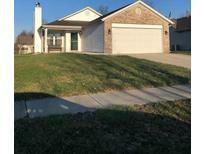 Warren Township Schools, Close To Shopping & Interstate Access. MLS#21633015. In-Site Real Estate Services. Kitchen cherry cabinets & marble trimed fireplace are some of the upgrades included with this 'one of a kind' value. Extras: storage cabinets/living room, ceiling fan/great room. MLS#21633206. Kohler Realty. Listed and Sold MLS#21626515. Monteith-Legault Real Estate C.
Turn key property ready for your Buyers and a fast closing! MLS#21629958. Kohler Realty.